The last item on the Top Ten list of reasons why I bought my 1986 Citroën is “No objections from the wife.” Series 2 CX, station wagon, five-speed, and diesel were also on that list. I won’t rattle off all of rest, but aligning planets was another to note, because that’s exactly what happened to bring this car into my life. 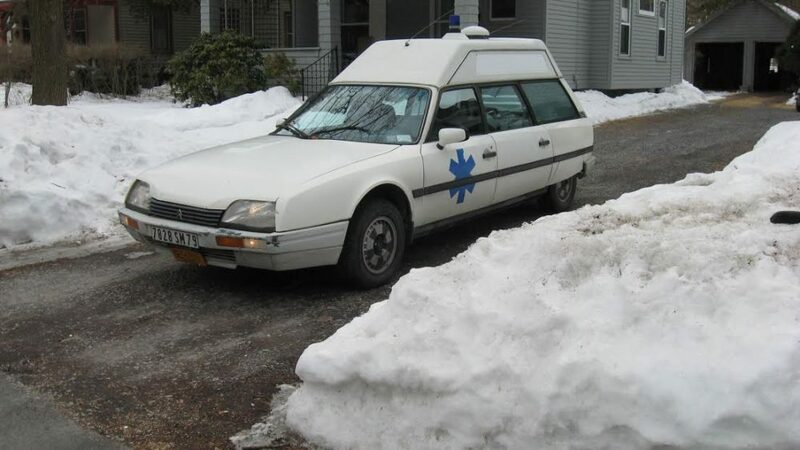 In the fall of 2012, a 1986 Citroën CX-based Heuliez Quasar ambulance appeared on Leboncoin.com, a French website similar to Craigslist in the US. My attempts to communicate with the seller failed due to what I believe was some kind of website filter that prevented my non-French email address’ messages from getting through to the seller, Denis. 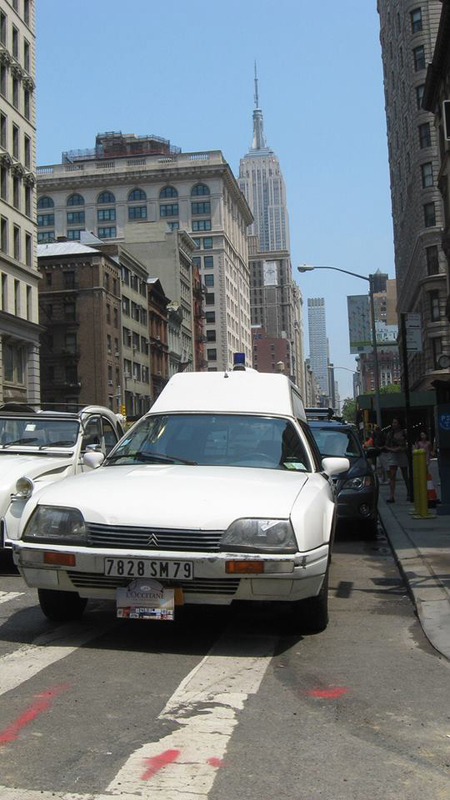 The ad was soon taken down, and I thought my chance to own an affordable Citroën was gone. 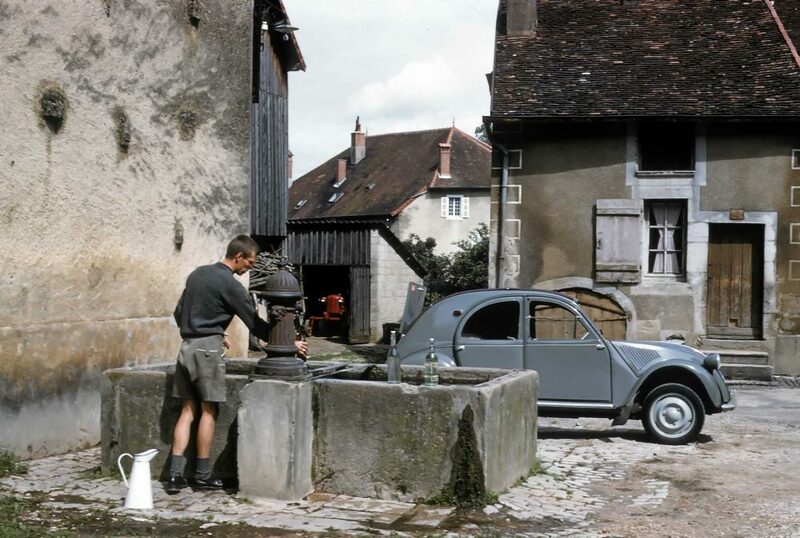 Ever since my parents showed me and my brothers photo slides from their ten-week tour of Europe in 1958 in their rented 2CV, I have wanted a Citroën of my own. 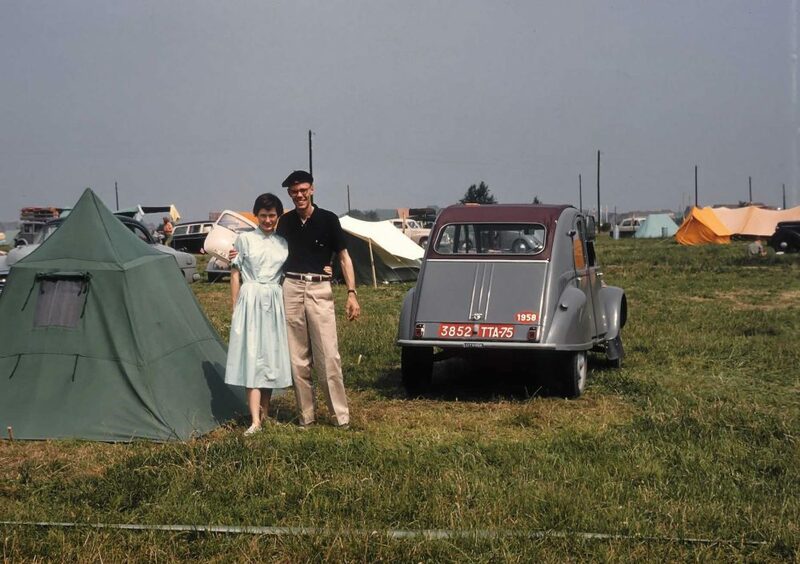 To be honest, we thought the slideshows were boring at the time, but it was through those images of a strange little car in strange foreign places that my fascination with the brand began. My brother Chris was similarly enamored with the cars, and he got a much earlier start in ownership with a green American-spec DS23 Pallas, which he used as a daily driver when he was in college in the ‘80s. 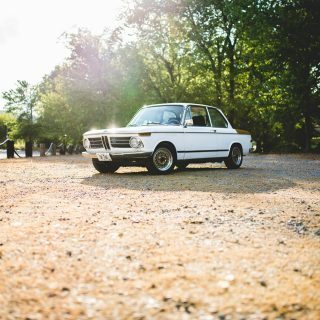 He currently drives a 1961 ID19. My hopes to own a Citroën were lifted a few months later when a new ad for the same vehicle appeared. This time, I asked friends of mine from the Paris suburb of Senlis to contact the seller and get his personal email. 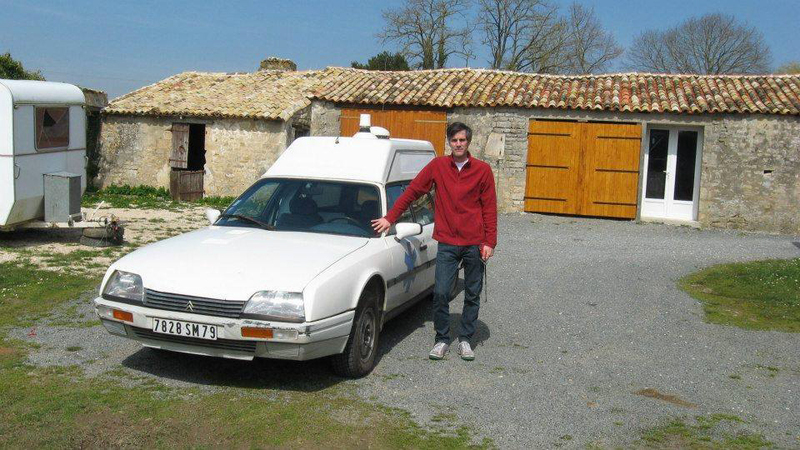 The car turned out to be located in a town next to the city of Niort in the Deux-Sèvres region of France, where my French students send their pen pals letters. Having a local contact was the first bit of luck, the first planet in the formation. Taking time off from work teaching French (traveling to the country to pick up a car mad their may have been a factor in getting some extra vacation time) was the second planet to align. 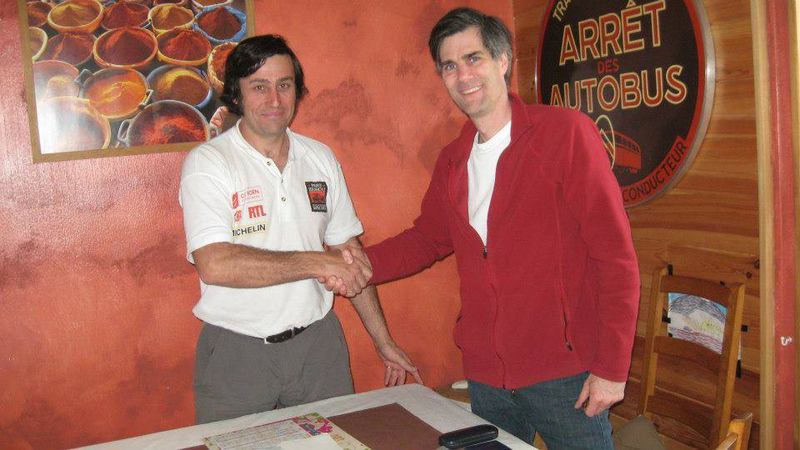 With the ability to buy the car now looking like a very real possibility, the same friends from Senlis helped out again. They just happened to be passing through Niort on vacation and agreed to visit and to take photographs of the car to help me get a better sense of what I was buying. 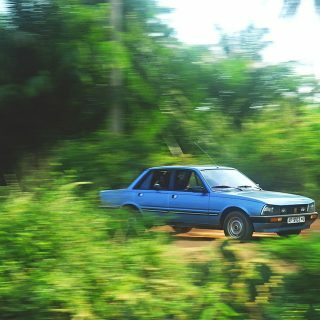 The motor wouldn’t start at the time, but the seller promised to have it roadworthy for me, so I finalized plans with a shipping broker, made flight reservations, and invited myself to stay at my fellow teacher’s house (the one who taught the students that mine had written to). Magalie and her young family were happy to have an opportunity to meet me, her American colleague, and to have me stay with them on this curious expedition. The third planet was now aligned. After arriving at the Charles DeGaulle airport, I stayed with a former host sister, Hélène, and her family in Garches, a Paris suburb. 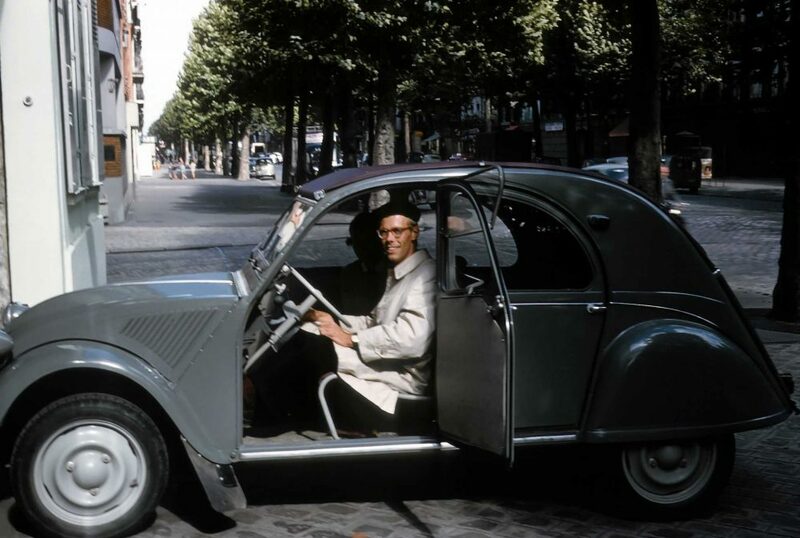 I had just enough extra time to venture into Paris and visit C42, the Citroën boutique on the Champs Elysées in order to purchase some souvenirs for myself and my brother Chris, who would help me pick up the car back the States once it made its journey across the ocean. I eventually left after an Easter dinner with Hélène and her family, and Magalie picked me up at the train station in Niort, introduced me to her family, the city, and to three of her students who were hoping to find families in America they could visit for a few weeks in the summer. We arranged for the seller, Denis, to pick me up in Niort to begin the test drive. 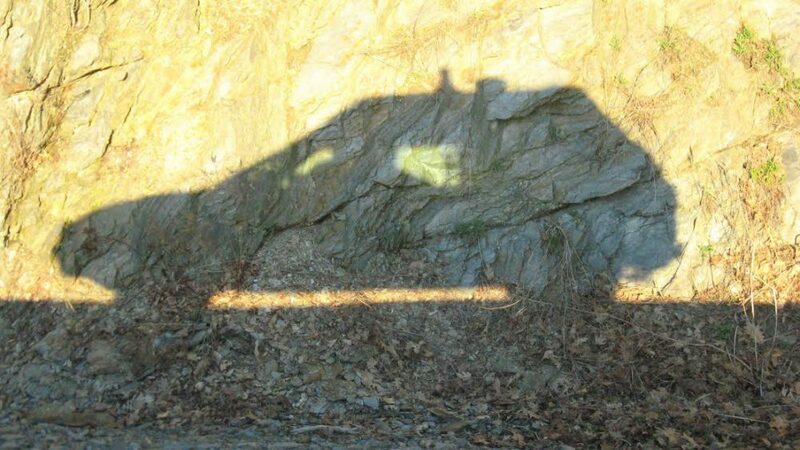 I had never before engaged in such a risky car buying venture and was nervous with the daunting task that was still before me: What if the car turned out to be different than advertised? What if the seller turned out to be untrustworthy? For once, I decided to roll the dice. My shipper was ready to go. His customs broker was ready to go. My bank account was ready to go. 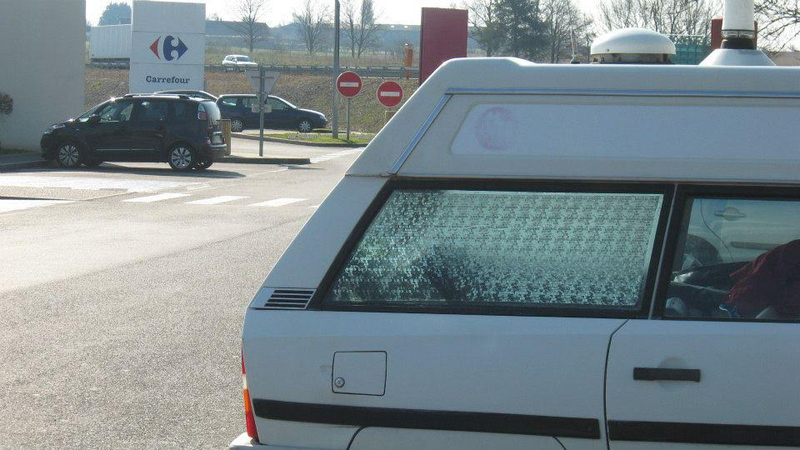 Would the car be as well? 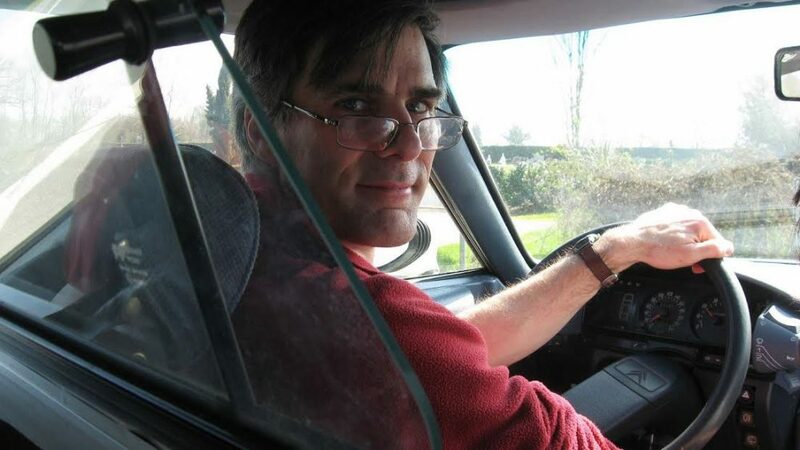 After Denis drove his wife and me around the countryside, he allowed me to take the wheel, which officially began the check-off process of one of my few bucket list items; test drive a car in France, purchase it, and ship it home. 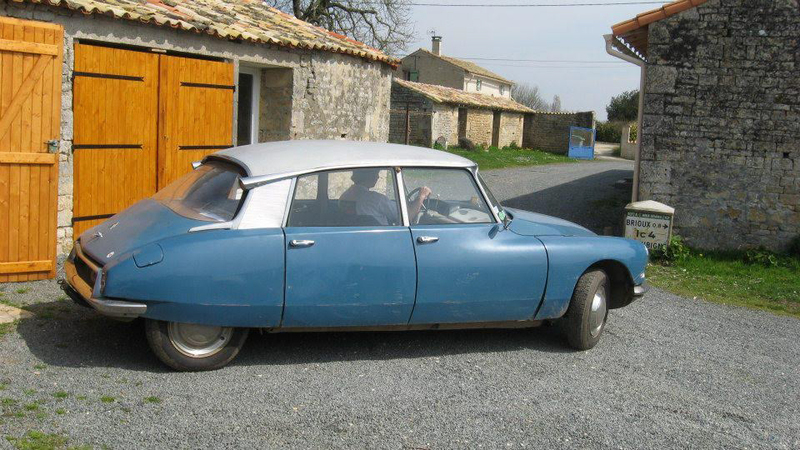 We made the transaction, and while at Denis’ house, I admired his collection of Citroëns. 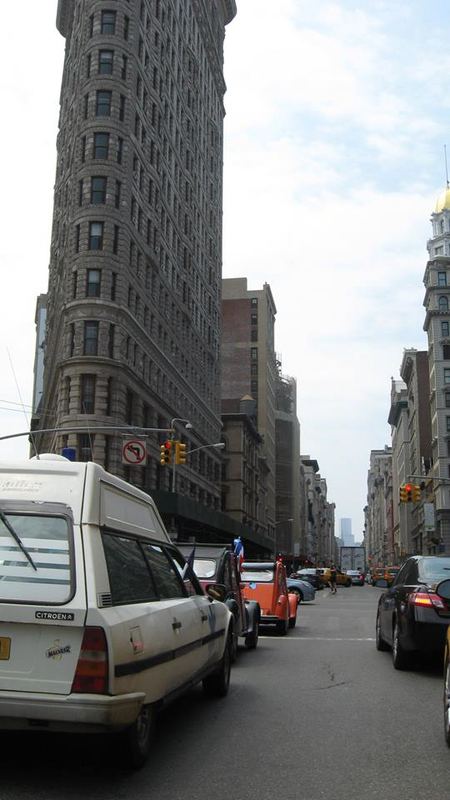 There was a late model XM, many 2CVs, two 2CV derivatives, his father’s 1959 ID, and a rare rotary-engine Citroën M35. 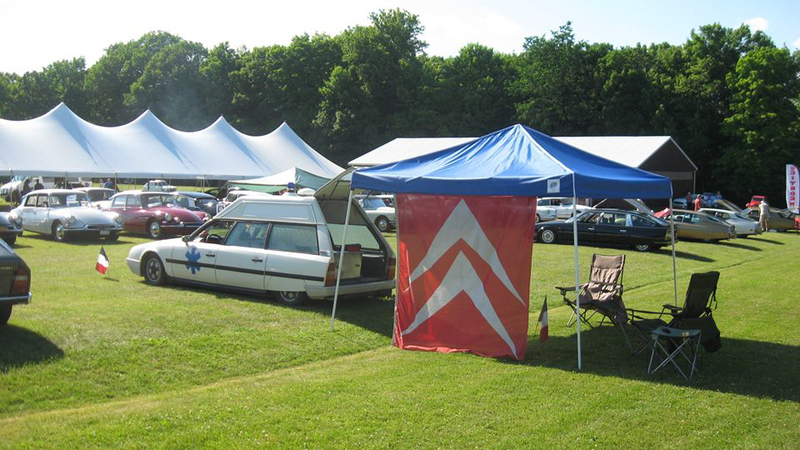 Denis has prepped many 2CVs for long-haul camping trips in Morocco so, clearly, he knew Citroëns, and could be trusted to have prepped the Quasar for its next adventure with me. 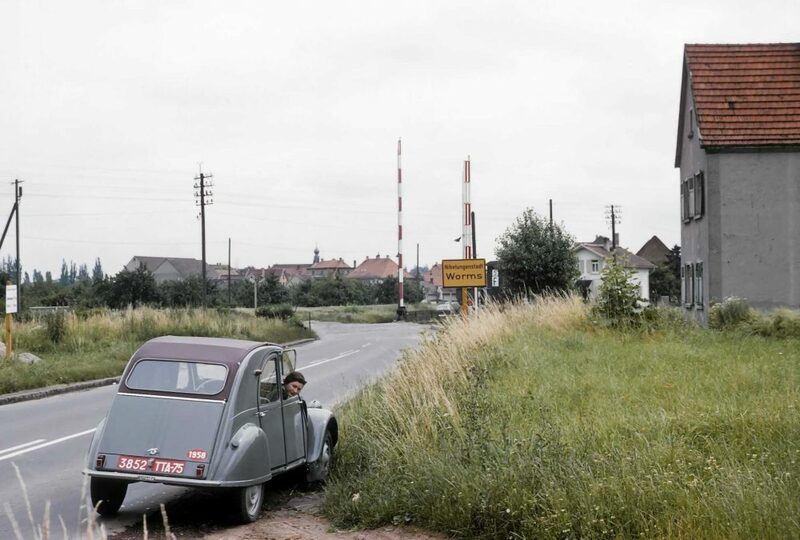 Here I am becoming a Citroën owner, and with Denis driving me in the car that I was eager to get behind the wheel of myself. 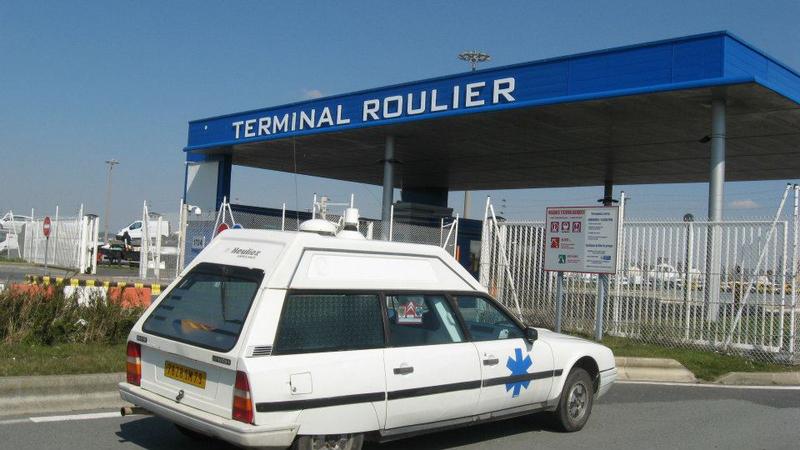 Denis picked me up in Niort the next day at 8:00AM. 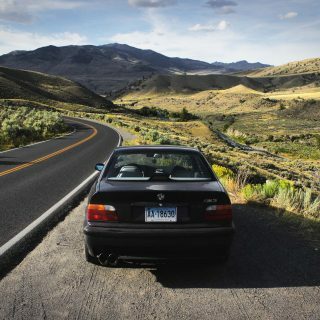 There was a slight chill in the air but the weather was dry—I filled the tank with diesel fuel and we were on our way north on a 300 mile, six-hour-long road trip without tools, jumper cables, or anything for repairs. 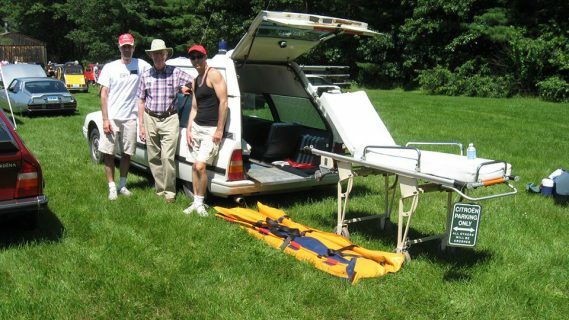 Denis had the itinerary printed out, his GPS affixed to the windshield, and energy bars in his pocket. 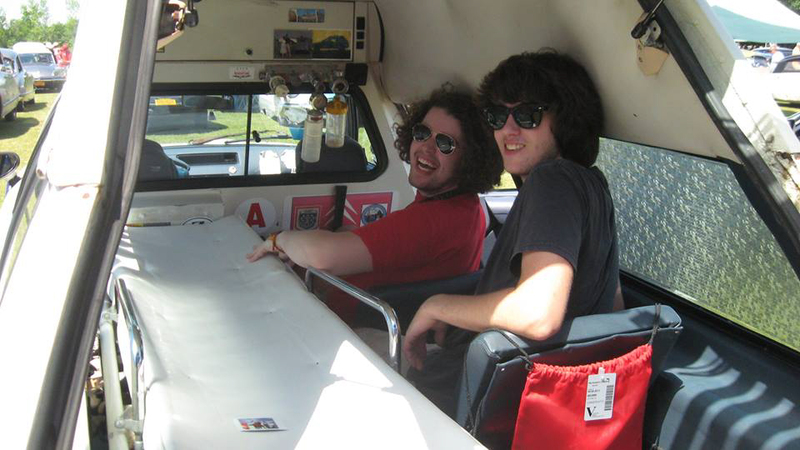 It was the last trip where I would be a passenger in the car. The reason the seller of the car was driving me so far in something he’d just sold was due to a combination of insurance and the fact that I’d agreed to pay for fuel, tolls, the taxi from the port to the train station in Le Havre, and his return train ticket. Before I knew it we were at the Pont de Normandie, which gave a view of the port of Le Havre. 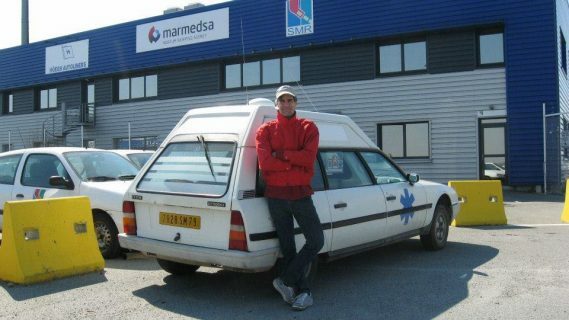 I learned that in France, it is easier to ship a vehicle to the United States than it is to send a box from the post office. Once the shipping office clerks were finished with their lunch break, a woman came to the window, asked pleasantly for the keys to the ambulance, and had me sign a couple forms. 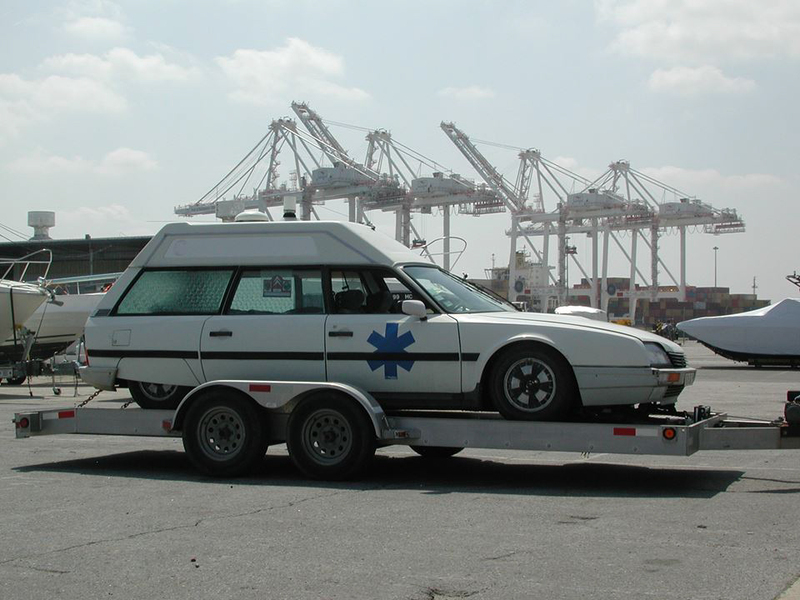 My broker normally ships cars through Rotterdam, but he arranged for the ambulance to be placed on a Höegh roll on/roll off boat in Le Havre that, after stops in Guadeloupe, Martinique, Trinidad, Mexico, and Florida, would eventually arrive in Baltimore about six weeks later. 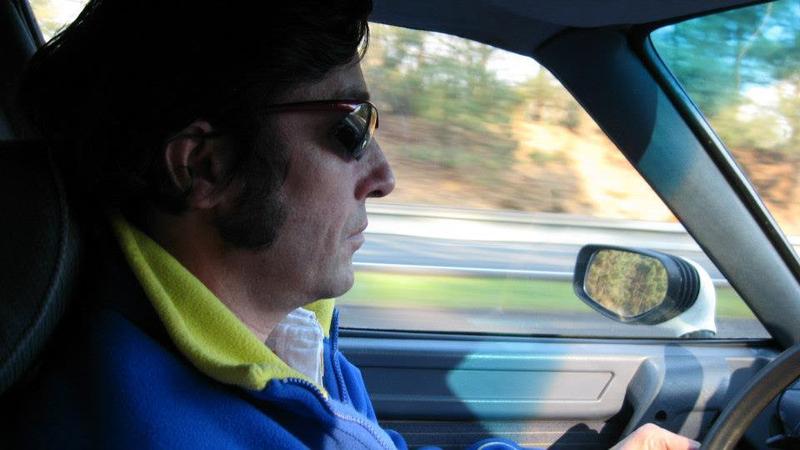 Chris and I planned to pick up the car on Memorial Day weekend, and in similar fashion to the first leg of this international, transatlantic road trip, I drove the entire 400 miles home with no tools or repair items. 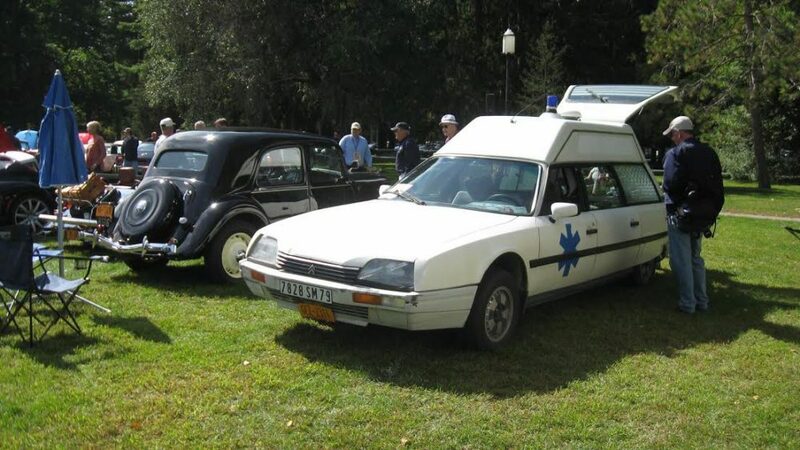 And speaking of repairs, I never would have entertained the thought of owning a 25 year old converted Citroën ambulance without Dave Burnham Citroën being so close by. 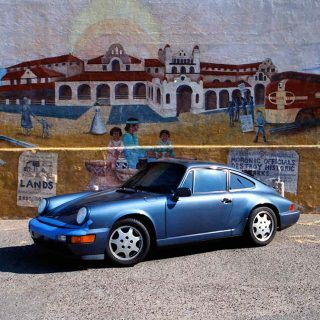 Dave and his partner Carter Willey have decades of experience with the brand, and make the prospect of owning an older foreign car much more palatable and manageable—especially since I bought my Citroën/Heuliez to drive. Although not a daily car, I take it out at least once a week, and in the winter, once a month. 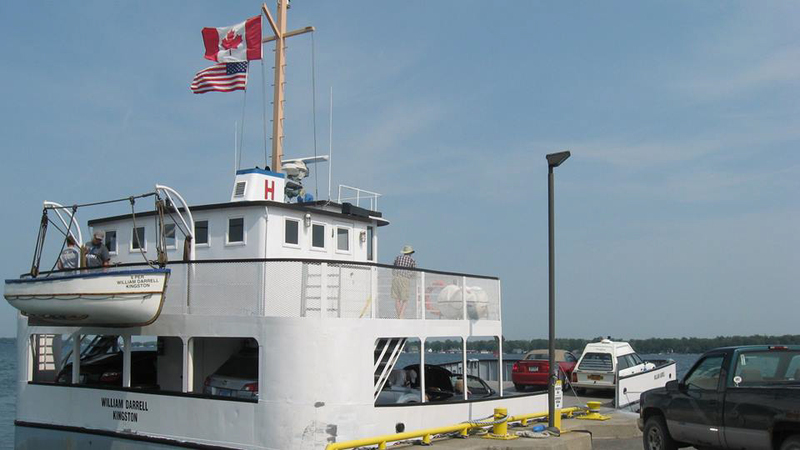 From my home in Delmar, New York, I have taken it to Wolfe Island, Ontario; New Canaan, Connecticut; Carlisle, Pennsylvania; Lime Rock Park, Connecticut; Pittsfield, Massachusetts; Manhattan Island; Bennington, Vermont; and all around the Capital District of New York. 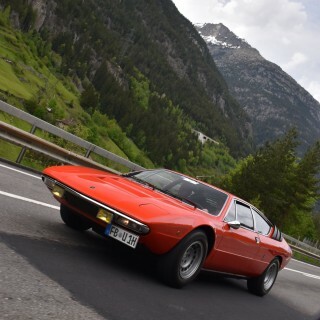 Aside from using the thing, half the fun of owning such a strange car in my opinion, is having conversations with people who are interested in the vehicle. 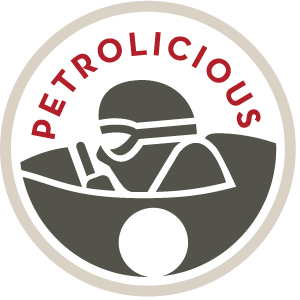 They want to know more about it or share their experiences with the brand. When people ask me how many people have died in it, for example, I respond that I prefer to wonder how many people have been saved in it. One of the things I most anticipated doing with my car was showing it. The first car show I ever attended with the Citroën was a Hemmings Motor News Cruise- In where my car won the “Favorite Truck award”. I didn’t know whether to be offended or proud! 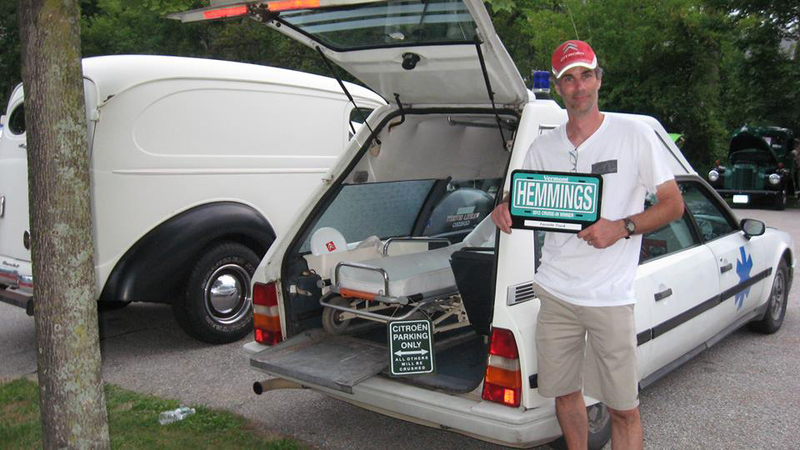 At another Hemmings event, the Sports & Exotic Car show, I won the Best French car because I was the only French car in attendance. I figured, a win is a win! 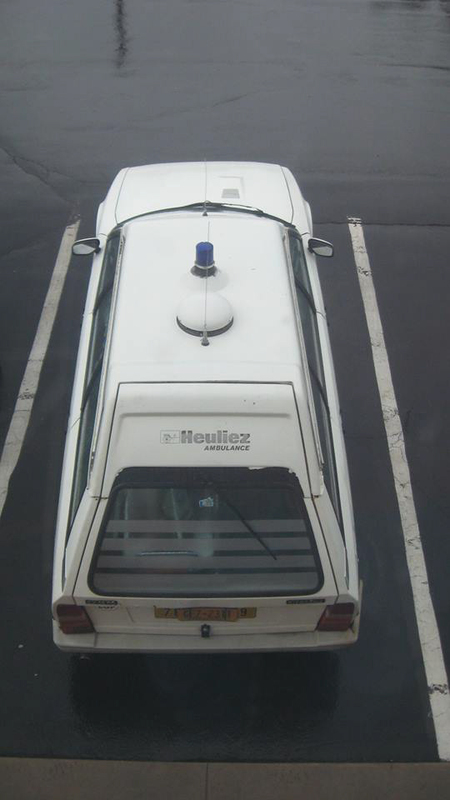 Technically it is a coach built car though, having been modified at the Heuliez factory after coming off the regular CX assembly line in Aulnay-sous-Bois. 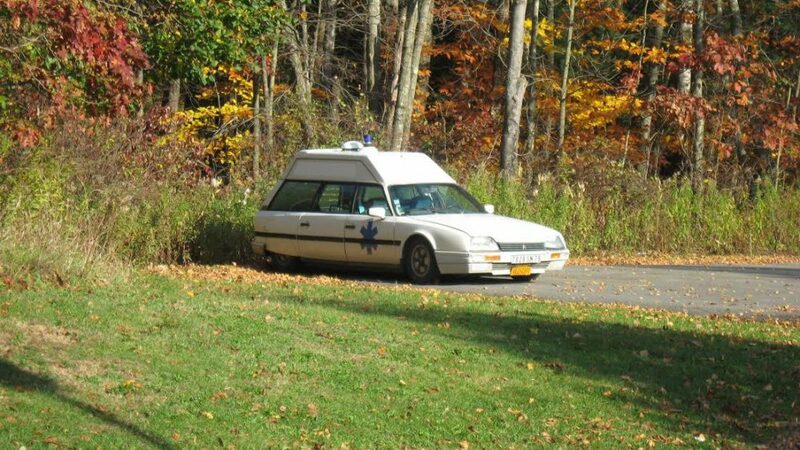 It lived a hard life in France as a working vehicle and will spend its golden years as perhaps the only Series 2 CX ambulance in America (there is a Series 1 in Ohio that I know of; small family indeed). 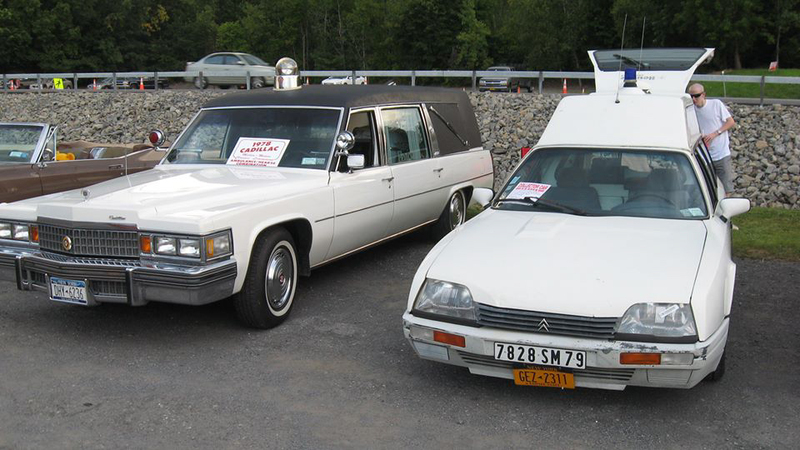 Though not hauling medical equipment and patients any longer, my Citroën might be even busier during its retirement all the same. Spending nine days in France hunting down a 25 year old work vehicle with well over 200,000 miles on it, test driving it, purchasing it, driving it six hours to the port, and shipping it across the Atlantic Ocean was just the beginning of my life with this car. 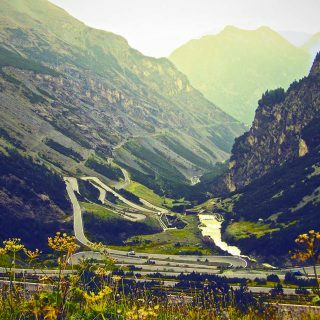 Reader Submissions Would You Buy A One-Way Ticket To Start A Road Trip? I really really hope that the siren works! That is a great story. Thanks a lot for posting this. It is always interesting that also the non standard cars are kept.